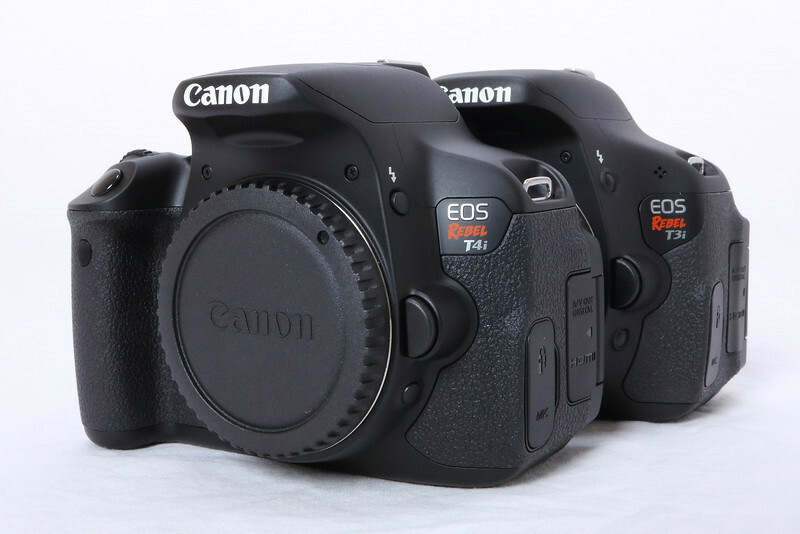 Canon's DSLR flagship in the entry level Rebel lineup, the Canon EOS Rebel T4i/650D, touts an impressive list of upgrades only 16 months after the venerable Canon EOS Rebel T3i/600D came to market. 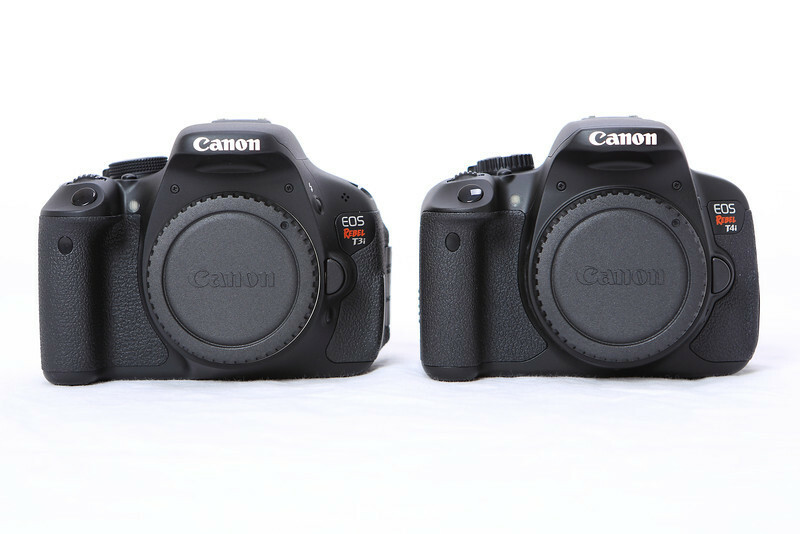 Is the new Canon EOS Rebel T4i/650D a compelling and worthy upgrade over the Canon EOS Rebel T3i/600D? Read my practical review of the T4i and judge for yourself! The T4i shares the same 18 megapixel CMOS APS-C sensor as the T3i but the major internal similarities stop there. The T4i runs on a DIGIC V processor for a faster 5fps shutter rate to catch fast action sports, a more sensitive 9 AF point system like the Canon 60D, a Hybrid AF system for continuous tracking during video recording and Live View and the first articulating touchscreen control LCD for Canon DSLR's. The list goes on like the HDR Backlight Control for high contrast exposures, internal stereo microphone for audio capture for video and the addition of wireless RF control to dedicated RF Canon Speedlites. The retail price for the Canon T4i body only is $849. That is at least $200 more than the previous Canon T3i body only currently online. Do all these added T4i features worth the extra coin? My answer may surprise you but I will explain the ergonomic differences first. The most obvious external difference between the T4i and the T3i is the dedicated movie mode indent on the power switch. No more rotating the mode dial to access movie mode. It is just a flick of the lever and you are shooting the same glorious selection of video resolutions just like the T3i. The internal stereo microphone is now on top of the pentamirror viewfinder but I suggest using an external microphone connected to the mini jack port on the side to gather the best audio. 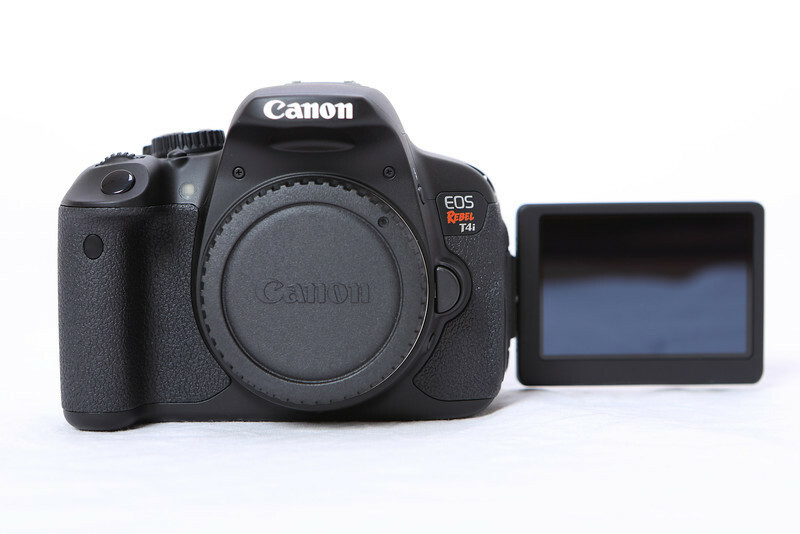 You can call the Canon Rebel T4i a "baby Canon 60D". 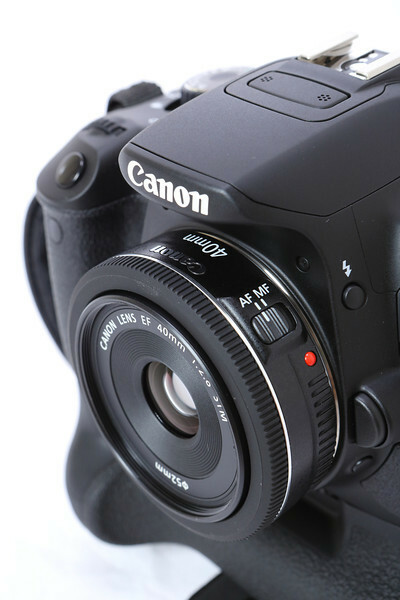 If you are looking a small form factor with big DSLR features, the Canon Rebel T4i fits the bill. Just like the T3i, the T4i's image quality is outstanding. 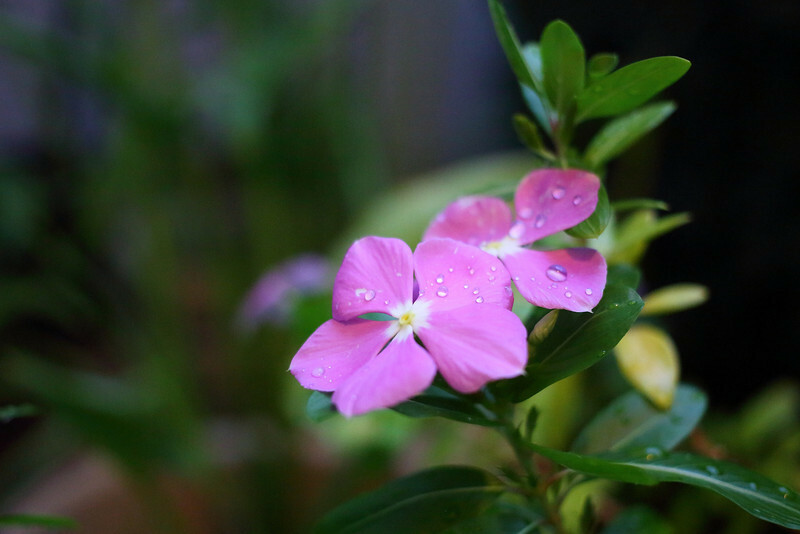 Skin detail and color vibrance out of the T4i make it difficult to shoot a bad picture. With all the entry level Scene Intelligent Auto and Basic Zone Modes with the addition of Creative Filters, the aspiring photographer can start shooting epic images with ease. Soccer moms don't worry, you won't miss a shot like with your slow Apple iPhone 4S. 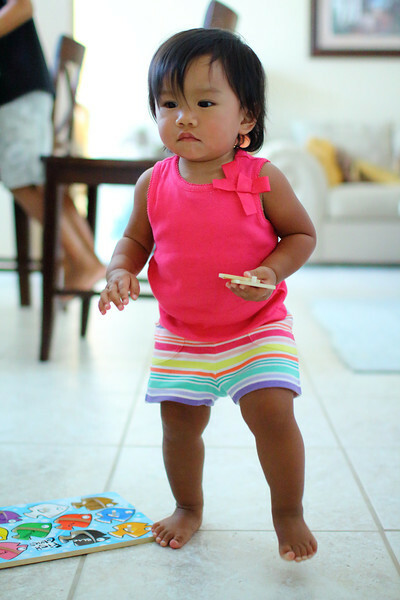 Impromptu photo shoots of your toddler's precious steps in poor lighting got you worried? You can shoot a clean ISO 3200 all day with no problem. ISO 6400 is for extreme low light indoor church or auditorium shooting but very useable to freeze the action. ISO 12800 and up is "Snow Falling on Cedar". The T4i's more sensitive 9 point AF system like the Canon 60D tracks moving subjects in AI Servo with ease. 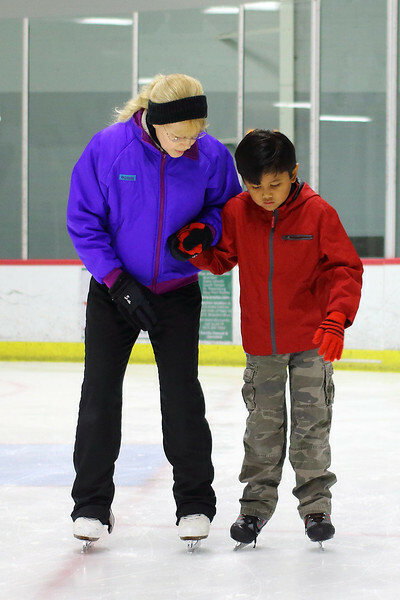 My kid's ice skating lessons made a great test bed for vertical AF point AI Servo image samples. Keeping any AF point in AI Servo mode on a moving subject can be a challenge but practice makes perfect. The T4i's video quality is outstanding just like the T4i. It shares the same HD video resolutions at many different frame rates along with manual audio, aperture, shutter and ISO control at your fingertips. Just like the more expensive Canon DSLR's, you have full creative control over your HD movies. Hesitant at first for change, the touchscreen LCD controls are surprisingly good and practical for recording video. With a touch of the Q (quick menu) button, you have touch control of all major functions including aperture, shutter, ISO, focus point, focus magnification and much more to list. The touchscreen is quite handy especially when choosing focus point and magnifying digitally for critical focus. No more fumbling with control dials and menus anymore. Total video recording time is now up to 29 minutes and 59 seconds. Just like the Canon 5D Mark III, a new continuous video file is created when the 4gb file limit is reached. No more 4gb FAT 32 limit to make your videos stop short of 12 minutes at full resolution capture. Quite a remarkable feature for an entry level DSLR. My Canon Hybrid AF conclusion? The Servo AF only works well with subjects and people moving at a toddler's pace. Anything faster than crawling, the Hybrid AF does not keep up with fast moving people or objects. My 15 month old baby daughter just started to walk recently and the Canon T4i/650D paired with the EF 40mm f/2.8 STM pancake lens kept her in focus most of the time. Before the test, my expectations were not too high for this T4i or any HD DSLR. Disappointed with focus tracking of normal everyday people or object movements, I was quite surprised at the quiet and smooth focus of the new STM or stepper motor. Say goodbye to noisy, ratchety and jarring focus movement of previous EF USM and non USM lenses. Canon's next step is to match the AF system of conventional camcorders out in the digital video market. Now for more bad stuff...Gone are the days of 1080p 3x to 10x digital zoom video capture like in the previous Canon Rebel T3i/600D. Canon completely removed this useful feature adding that extra reach for distant subjects like in my Supermoon video. Next problem is the removal of the AF Quick mode option in movie mode. I found the AF system of the stills mode is much more accurate and "quick" than the new Flexizone single focus point. Habits are just too hard to break! As an added note, the Movie Servo AF is enabled by default in movie mode. It has to be disabled because the AF will be constantly hunting for focus during video capture. Another brief critical issue with the AF is switching between stills mode and movie mode. If you are in AF Quick mode in Live Mode for stills, your selected setting in movie mode for AF will be set to the AF face tracking mode by default. Confusing? This maybe corrected in some future firmware fix, hopefully. Look familiar? 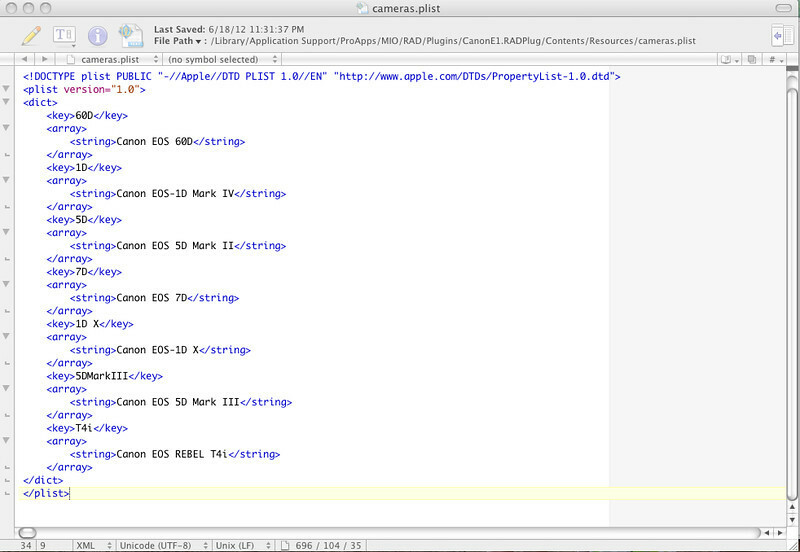 This is my modified .plist for the Canon E-1 Movie Plugin v1.3 to make the Canon Rebel T4i compatible with the Log and Transfer feature of Final Cut Pro. All of the other higher end Canon DSLR's can quickly and easily transcode h264 video files to AppleProRes422 for smooth non linear editing except the Rebel series. I fix that problem easily like the previous Rebels here. Be warned! Follow instruction carefully in that link and click on the picture above to view the .plist modification for the Canon Rebel T4i/650D. Good Luck! 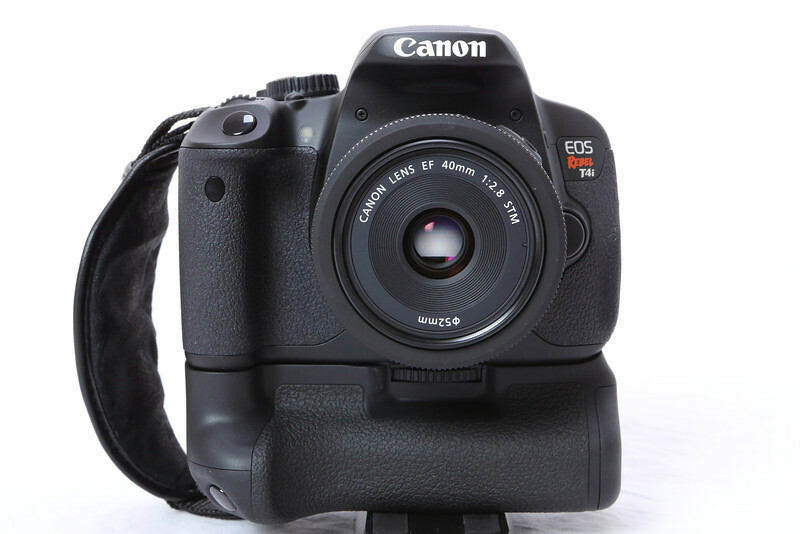 My Canon EOS Rebel T4i/650D verdict? The T4i is a winner in the entry level still photography category. A tried and true image sensor and upgraded AF system outputs great pictures along with beginner friendly Basic Zone Modes. The integration of the LCD touchscreen just like the Canon point and shoot Powershots make the transition easy for any novice to upgrade to the big DSLR's. The Canon Rebel T4i make complicated and confusing DSLR's very simple to operate. In contrast, T4i is a horrible disappointment in the video category especially the wildly hyped Hybrid AF system for continuous focus tracking during recording. On top of that poor performer, the removal of the 3x-10x digital zoom during video capture shakes salt on the bleeding wound. The only redeeming video quality of the T4i is the extended video recording time up to 29 minutes and 59 seconds. Amen! For current Canon Rebel T3i owners, the new Canon Rebel T4i is a worthy and compelling upgrade for still photography but a big disappointment for shooting video. 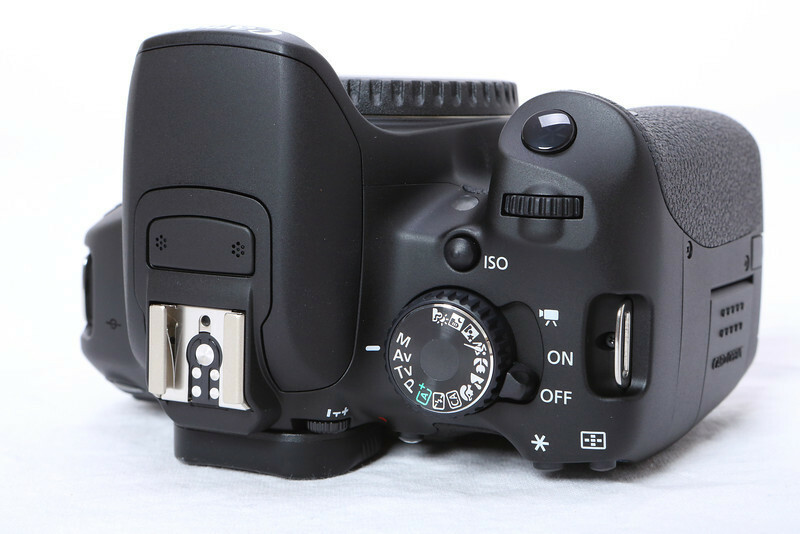 If you primarily shoot DSLR video, keep your Canon Rebel T3i until Canon fine tunes DSLR auto focus servo tracking. Maybe there is a mirrorless camera system in Canon's future? Only time will tell at this point. You can view more images, ISO comparisons and videos in my Canon EOS Rebel T4i/650D Verdict and Video Review Gallery. Stay updated with future Canon Rebel T4i/650D samples, tests and videos by Becoming a Fan on my Facebook Fan Page and following me on Twitter! Canon's latest flagship entry level Rebel, the T4i/650D, touts a new Hybrid auto focusing system for video and the first LCD touchscreen for Canon DSLR's. 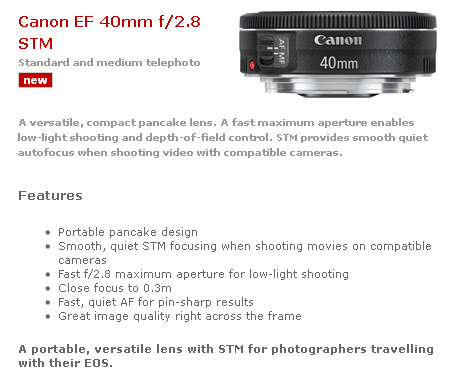 Also introduced is the long awaited Canon EF 40mm f/2.8 STM pancake lens. Otherwise known as the "shorty forty", this very slim profile prime lens has an affordable retail price of $199. The new Hybrid AF system of the T4i/650D allows objects or people to be continuously tracked in focus during video recording. With Canon's new EF STM or stepper motor lenses, the Hybrid AF system allows smoother lens focusing when compared to USM and non USM EF lenses. The new Hybrid AF system and the LCD touchscreen of the T4i/650D work in conjunction with STM lenses such as the new Canon EF 40mm f/2.8 STM pancake lens for smooth focus tracking of subjects during video capture. I wanted to see for myself Canon's revolutionary hybrid focusing system. As a veteran television news photographer, I always manually focus lenses on my video cameras. Just the thought of horrible focus hunting and motor noise gives me nightmares. So how does Canon's Hybrid AF system stack up? Watch my 1080p video above shot with the Canon EOS Rebel T4i/650D and the EF 40mm f/2.8 STM lens. My Canon Hybrid AF conclusion? The Servo AF only works well with subjects and people moving at a toddler's pace. Anything faster than crawling, the Hybrid AF does not keep up with fast moving people or objects. My 15 month old baby daughter just started to walk recently and the Canon T4i/650D paired with the EF 40mm f/2.8 STM pancake lens kept her in focus most of the time. Before the test, my expectations were not too high for this T4i or any HD DSLR. Disappointed with focus tracking of normal everyday people or object movements, I was quite surprised at the quiet and smooth focus of the new STM or stepper motor. Say goodbye to noisy, ratchety and jarring focus movement of previous EF USM and non USM lenses. Canon's next step is to match the AF system of conventional camcorders out in the digital video market. Patience is a virtue! While we are on the topic of DSLR video, the Canon Rebel T4i/650D replaces the 16 month old Canon Rebel T3i/600D with added and removed DSLR video functions. The Canon Rebel T4i/650D most notably does not have 1080p 3x to 10x Digital Zoom video capture and the "AF Quick" mode for video focusing. What happened? My only guess is Canon's marketing division got hold of the R&D department. The Canon Rebel lineup is marketed to the entry level and novice DSLR demographic, most notably soccer mom's. I can't blame Canon for this because all I see at theme parks and zoos during travels with my own family are inexpensive DSLR's strapped around parental necks. New parents mean "green" full auto mode on the control dial 24/7! This includes auto focus with shooting video, as well. 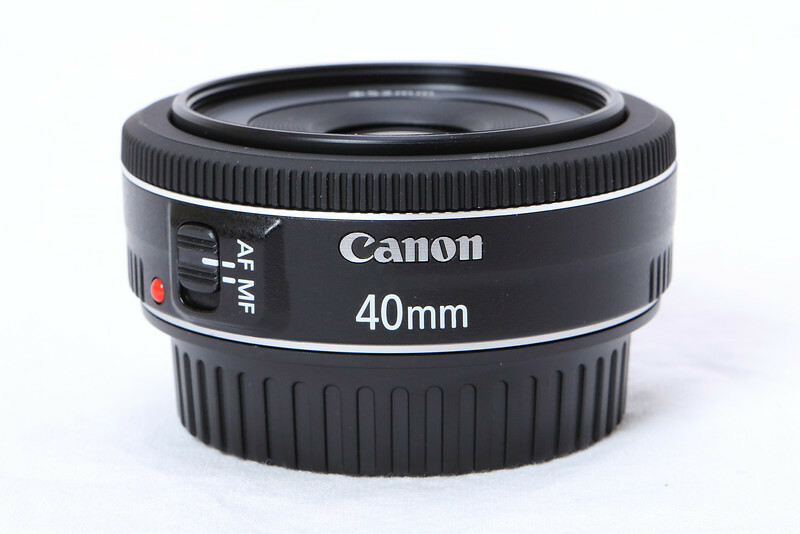 Let us take a break about video and focus on the great Canon EF 40mm f/2.8 STM lens image quality. This pancake lens is an amazing and must have for your camera bag. It is affordable, portable and super sharp for crop and full frame sensors. The color rendition of this lens is just about "L" glass quality. The above image was shot with the "shorty forty" and the Canon EOS 5D Mark III at ISO 3200. Focus was dead on and the image quality was outstanding for $199. This "shorty forty" is a no brainer! I will have more video tests with the pancake lens paired with the Canon 5D Mark III and Canon 1D Mark IV shortly. I am working diligently capturing, transcoding and editing video footage to share the knowledge. Stay updated with my upcoming Canon EOS Rebel T4i/650D Verdict and Video Review by Becoming a Fan on my Facebook Fan Page and following me on Twitter! 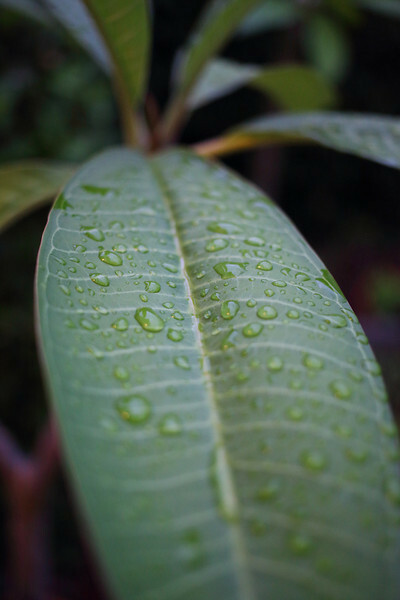 I just posted my Canon EOS Rebel T4i/650D Verdict and Video Test here. Almost 16 months after the venerable Canon Rebel T3i/600D hit store shelves, Canon unleashed a new Canon Rebel T4i/650D to the entry level DSLR market for a retail price of $849 for body only. 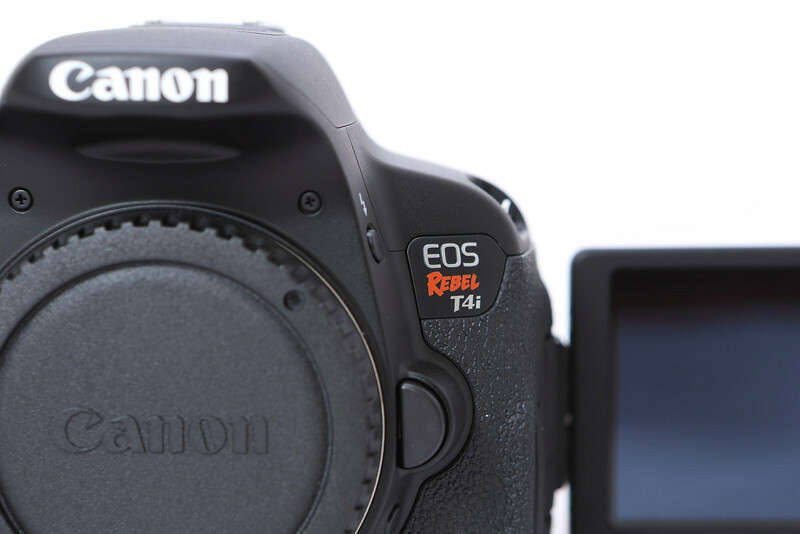 The Canon EOS Rebel T4i/650D is now touted as Canon's flagship to its Rebel lineup. Although it shares the same 18 megapixel CMOS sensor as its predecessors, the Canon Rebel T4i/650D features a DIGIC V processor to handle the faster 5fps shutter rate, a new Hybrid AF system to work in conjunction with Canon STM (stepper motor) lenses for video, a more sensitive 9 point AF like the Canon 60D and the first the touchscreen control for Canon DSLR's. Of course, there is much more to list but that will have to wait for my upcoming Canon EOS Rebel T4i/650D full review. Patience! As soon as I picked up my Canon Rebel T4i/650D from my friends at North Tampa Photography, I hit the ground running by capturing some video to evaluate image quality and the new touchscreen feature on the swivel LCD. 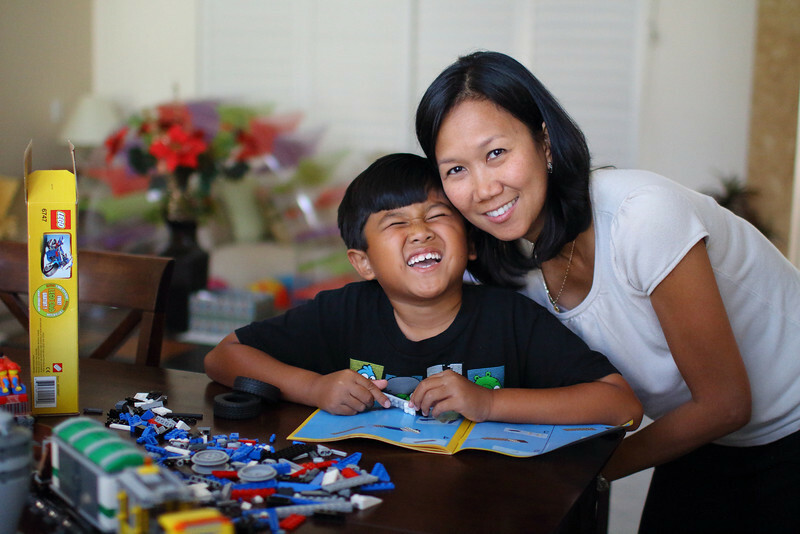 The video above was shot at 1080p with the Canon EOS Rebel T4i/650D at 29.97fps. I edited the video using Final Cut Pro 6.0.6 using a modified Canon E-1 Movie Plugin to transcode the h264 video files to AppleProRes422. I used Compressor to export a 470mb h264 video file. 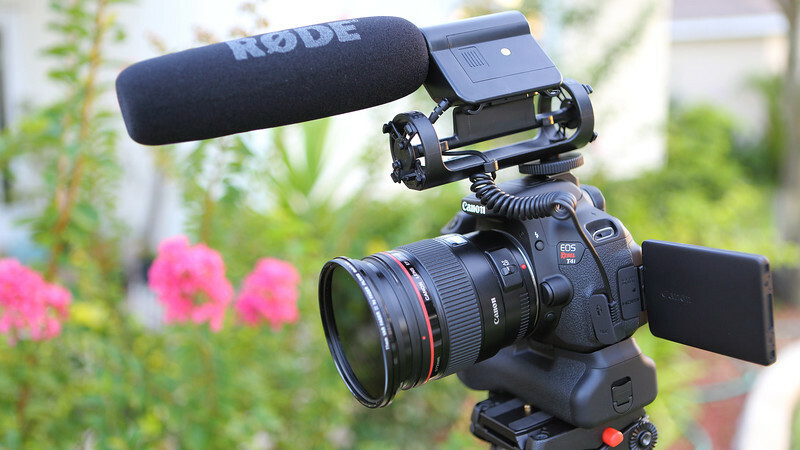 I paired the T4i/650D with the Canon EF 35mm f/1.4L lens and captured audio with the Rode VideoMic shotgun microphone. Now for my brief video evaluation of the T4i/650D! First the good stuff... The extra indent on the power switch for movie mode makes the transition easier to capture video without turning the mode dial almost a full 360 degrees. The built in camera microphone is now stereo and placed above the viewfinder. Hesitant at first for change, the touchscreen LCD controls are surprisingly good and practical for recording video. With a touch of the Q (quick menu) button, you have touch control of all major functions including aperture, shutter, ISO, focus point, focus magnification and much more to list. The touchscreen is quite handy especially when choosing focus point and magnifying digitally for critical focus. No more fumbling with control dials and menus anymore. Total video recording time is now up to 29 minutes and 59 seconds. Just like the Canon 5D Mark III, a new continuous video file is created when the 4gb file limit is reached. The new Hybrid AF system for Servo AF during video capture looks very promising and I will have a full review and Hybrid AF video test shortly. Now the bad stuff...Gone are the days of 1080p 3x to 10x digital zoom video capture like in the previous Canon Rebel T3i/600D. Canon completely removed this useful feature adding that extra reach for distant subjects like in my Supermoon video. Next problem is the removal of the AF Quick mode option in movie mode. I found the AF system of the stills mode is much more accurate and "quick" than the new Flexizone single focus point. Habits are just too hard to break! As an added note, the Movie Servo AF is enabled by default in movie mode. It has to be disabled because the AF will be constantly hunting for focus during video capture. Another brief critical issue with the AF is switching between stills mode and movie mode. If you are in AF Quick mode in Live Mode for stills, your selected setting in movie mode for AF will be set to the AF face tracking mode by default. Confusing? This maybe corrected in some future firmware fix, hopefully. As of now, that briefly wraps up my initial positive and negative video aspects of the new Canon Rebel T4i/650D. Everybody will have to wait for my full review and in depth look into the Hybrid AF system with Canon STM lenses. There will be more to come especially with the new Hybrid AF tracking system with Canon STM lenses including the new Canon EF 40mm f/2.8 STM pancake lens or "shorty forty". This concludes my first of many Canon Rebel T4i/650D Video Tests. Some extra tidbits I have to mention regarding video. 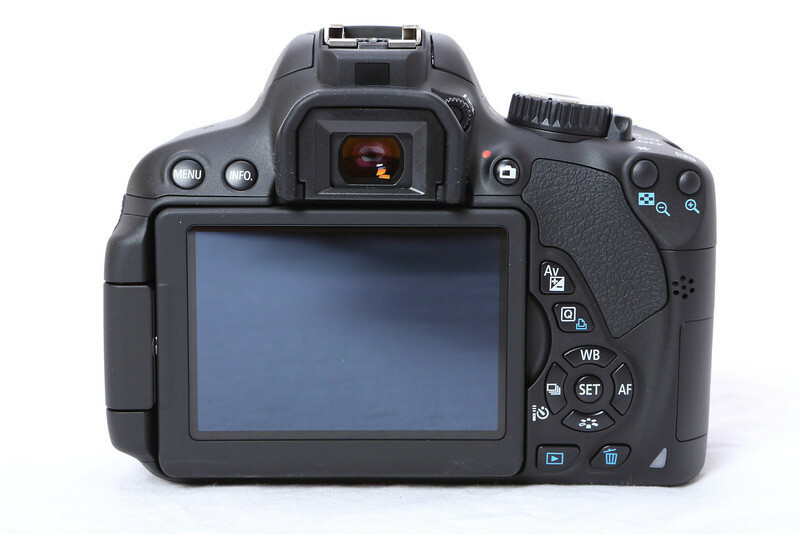 Like the Canon 5D Mark III during video recording, the HDMI output is a cropped 16x9 version that is displayed with or without camera information. This sure beats a 4:3 480p video output like the previous Rebels! 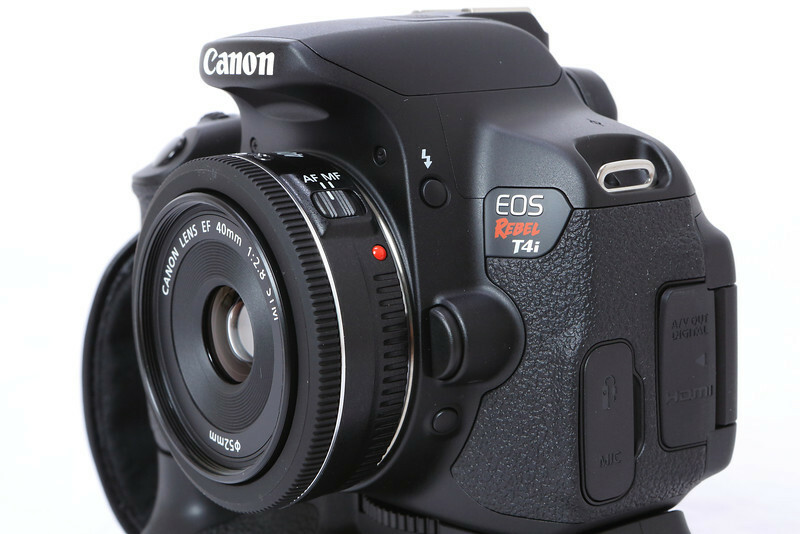 Just like the previous Canon Rebel T3i, the new T4i keeps the manual audio control for video and the added video resolution of 720p at 59.97fps as well. Stay updated for my upcoming Canon EOS Rebel T4i Verdict and Video Review by Becoming a Fan on my Facebook Fan Page and following me on Twitter! 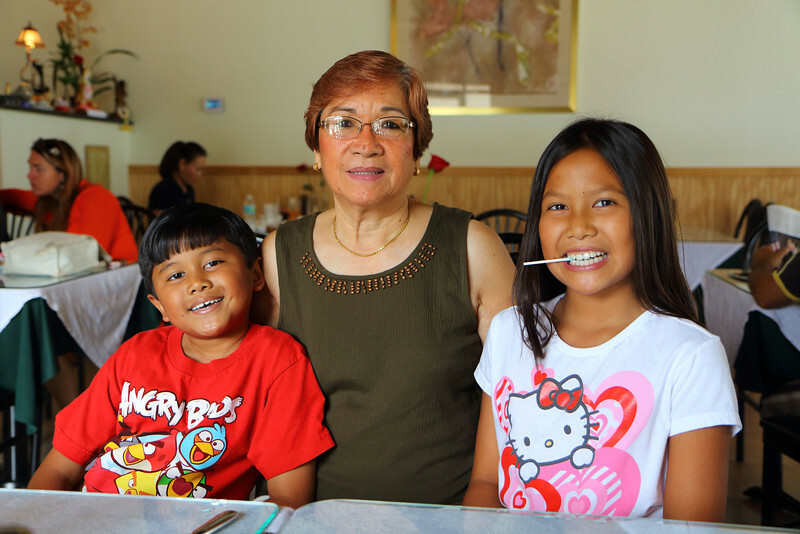 I posted a new Canon Rebel T4i and EF 40mm f/2.8 STM pancake lens Video Test here. See the amazing new "shorty forty" especially when paired with the T4i/650D. I just posted a new Canon EOS Rebel T4i Verdict and Video Test here. Canon has done it again! The announcement of the new Canon EOS Rebel T4i/650D DSLR with a 18mp APS-C sensor with DIGIC V+ processor gains new ground in the entry level DSLR market. The previous Canon Rebel T3i/600D was already impressive, but from all the added features of the new Canon Rebel T4i/650D makes this camera shine brighter. 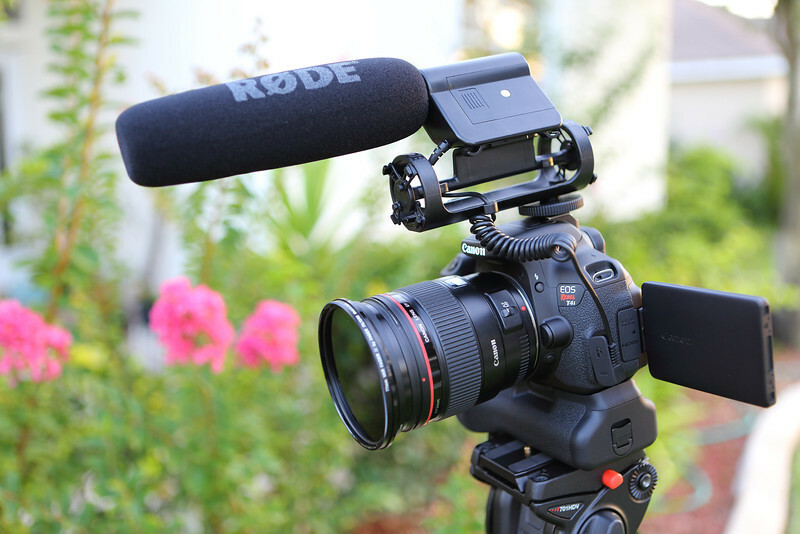 In a nutshell, consider this entry level DSLR a Canon 60D in a Rebel body, but with touchscreen LCD capabilities and a new Hybrid AF system for even smoother focus during video recording. On top of all that, you can add the Canon 60D 9 point AF system. As soon as the new 5 frames per second Canon EOS Rebel T4i/650D hits the store shelves, I will post my upcoming Canon Rebel T4i/650D Verdict and Video Review very soon. Pancakes are not for breakfast anymore! 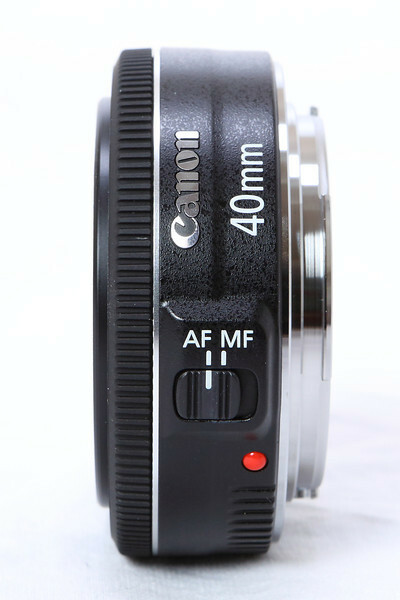 The new Canon EF 40mm f/2.8 STM prime lens or pancake lens was also introduced as a compact travel lens for full frame and APS-C sensor DSLR's. 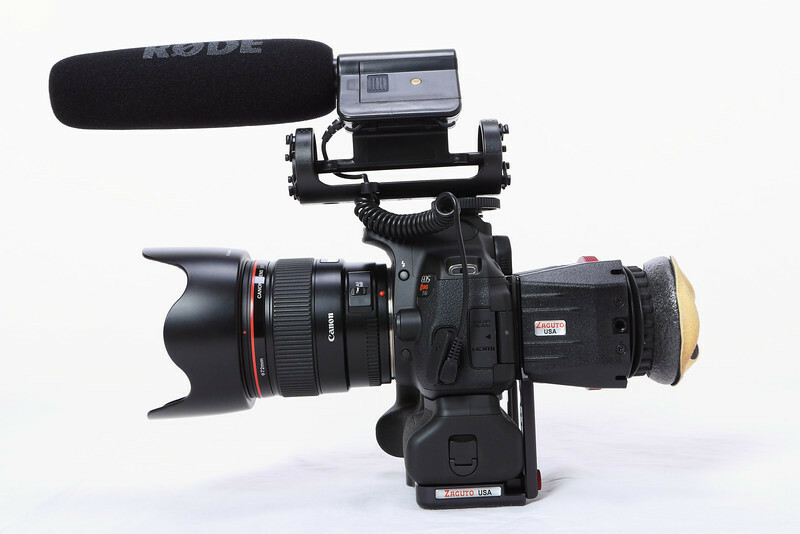 A very thin and low profile standard prime lens featuring the new stepper motor technology to make focus even smoother during HD video capture with the new Canon Rebel T4i/650D DSLR. The budget filmmaker can rejoice because the retail price of this small gem is $199. Call it a "nifty forty"? The ultimate entry level walk around lens is reinvented. 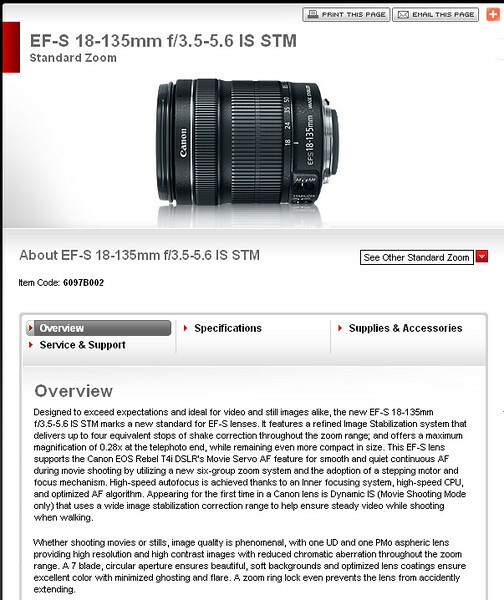 The new Canon EF-S 18-135mm f/3.5-5.6 IS STM lens makes a fabulous pair with the new Canon Rebel T4i/650D DSLR. The new stepper motor technology combined with the T4i/650D's hybrid AF system makes it possible to focus smoothly during video recording. This sounds like a promising budget kit lens for soccer moms and amateur filmmakers. 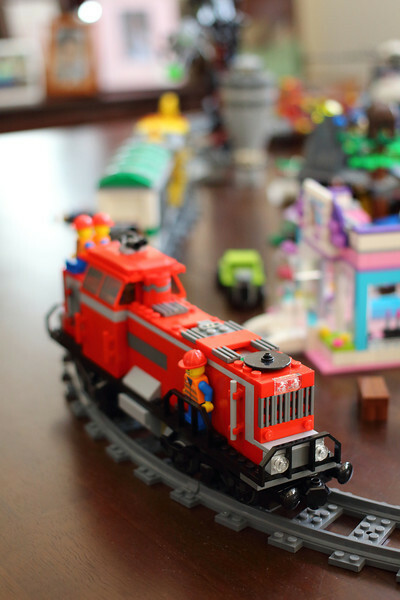 I posted a Canon Rebel T4i/650D and EF 40mm f/2.8 STM Hybrid AF Video Test here. See this amazing pancake lens when paired with the new Canon Rebel T4i/650D. Stay updated with more Canon Rebel T4i/650D updates,reviews and video tests by Becoming a Fan on my Facebook Fan Page and following me on Twitter! Watch out Lindsey Berg! 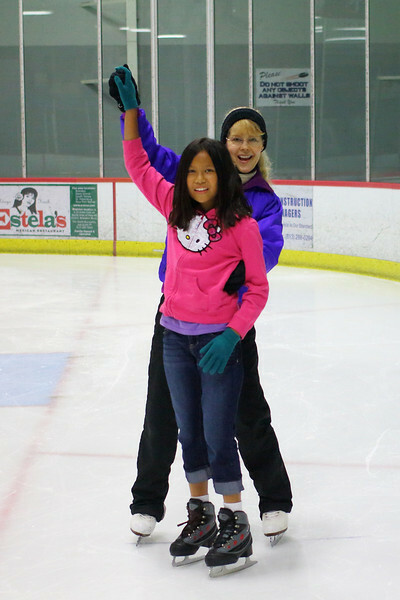 My daughter may only look Hawaiian in this bump shot but she has all the potential for Team USA in the next Olympics. 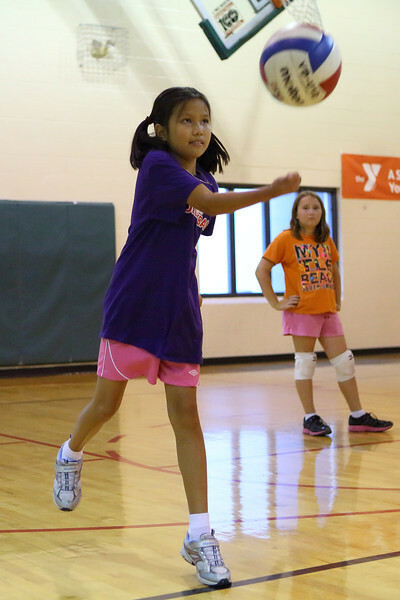 First it was ballet, then piano, then soccer and now youth volleyball at the local YMCA for after school activities. 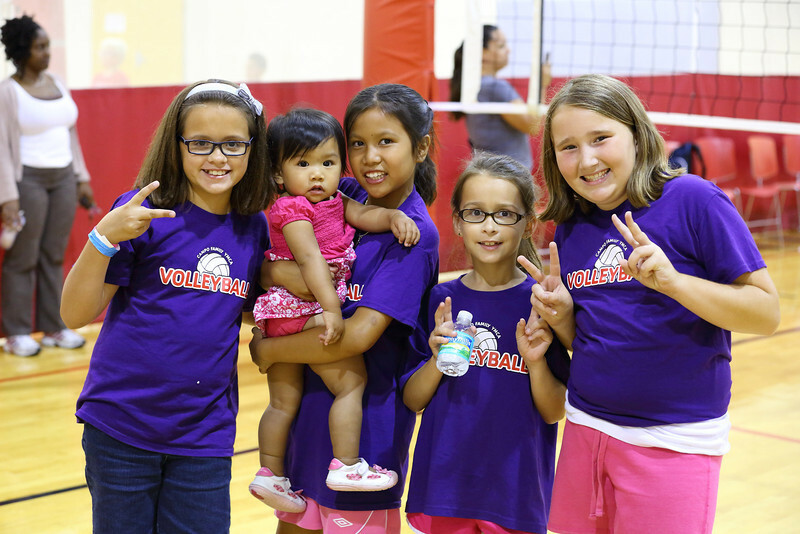 The first volleyball match for my daughter is followed by my first photographic indoor sport experience that is not basketball. Freezing the action was quite the challenge, but overcoming the horrible stadium lights tops the cake. Every serve, float, bump or attack had a different color. In camera custom white balance or preset was useless for proper temperature. My only hope was auto white balance and the time consuming post process from RAW to salvage my shots. The Purple Panthers poised a worthy opponent to the visiting team and my Canon EOS 5D Mark III DSLR. I have been waiting to try out the 61 point AF system in servo mode since my last Canon 5D Mark III Practical Review and Video Test. ISO test covered, video test checked and now the all new 61 point autofocus system for my quick practical review. The verdict? The Canon EOS 5D Mark III 61 point AF system in low light and in servo mode is equal or better than my trusty Canon EOS 1D Mark IV. The accuracy and tracking of the Canon 7D like focus points are excellent. Now the drawbacks! The AF point for your subject when tracking is black in color and not the contrasty red like the 1D Mark IV. A little difficult to see in low light but not impossible. There may be a firmware fix on the way soon. The second drawback compared to the 1D Mark IV is the frames per second rate. The Canon 5D Mark III rate of over 5fps was not fast enough to catch the action. This is where the 1D Mark IV's 10fps shine in sports action. 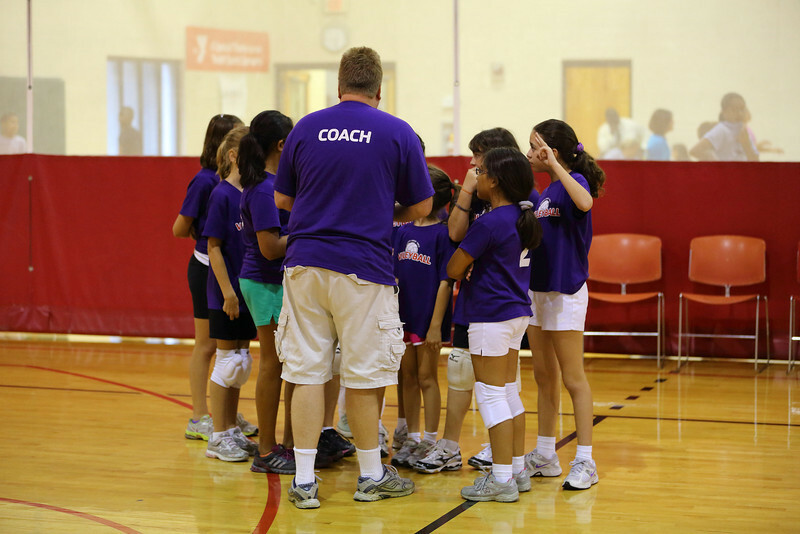 Working as a team in Volleyball takes practice and time. 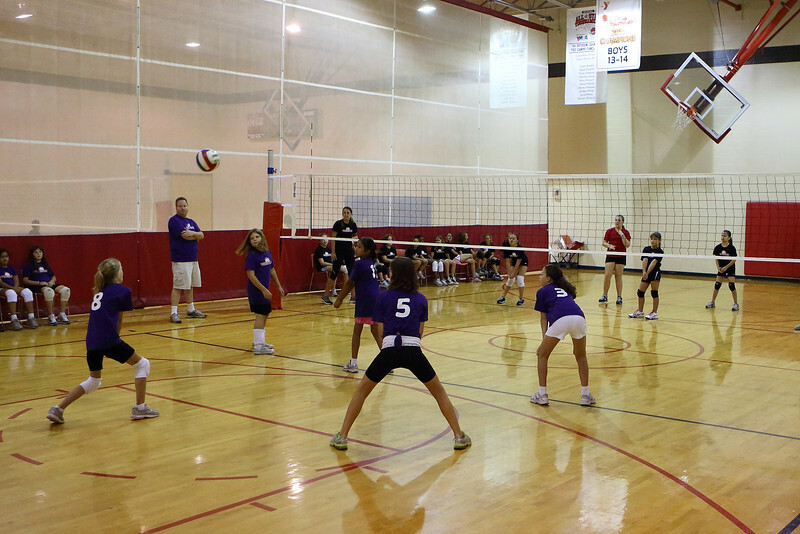 Perfecting my Volleyball photography requires the same but needs high ISO capability and fast glass as well. In sports photography, the Canon EOS 5D Mark III would make a great wide angle second body paired with the Canon EOS 1D Mark IV with a fast zoom lens. A Volleyball Match made in heaven! You can view more in my Daughter's First Volleyball Game 2012 Gallery shot with the Canon 5D Mark III paired with the Canon EF 70-200mm f/2.8L IS II and the EF 24-70mm f/2.8L lenses.